Some people want to support our work with students and older adults. Some want to pay tribute to a friend or relative. And still others simply enjoy attending VocalEssence concerts. Whatever your reason, thank you for considering a donation of time or money to VocalEssence. Donations from individuals—Learn about the wide variety of ways individuals can donate—from a one-time online gift to an ongoing endowment. Donations from organizations—Find out how foundations, corporations, and government agencies can help us with concert sponsorships, gifts, or grants. Fundraising events—Attend or sponsor one of our annual fundraising events. Volunteer—Get information about volunteer opportunities with VocalEssence—from ushering at our concerts to internships. Audition—Try out for a spot in one of our esteemed performing ensembles. Advocate—Find out how to advocate for the choral arts and music education. 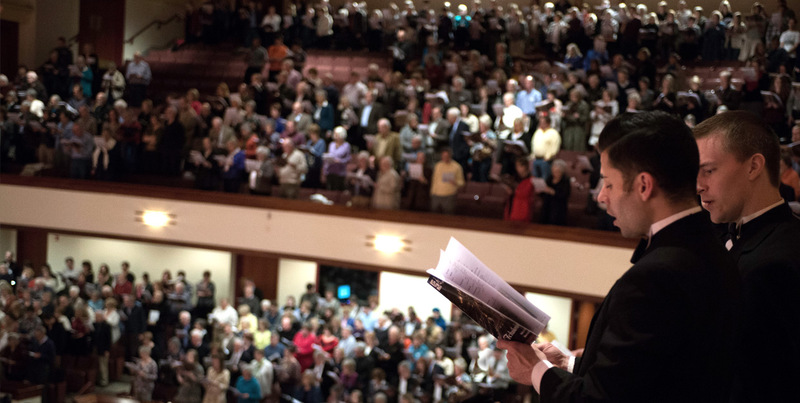 Join Resonate—Join our group of choral music lovers who sing, socialize, and savor good choral music. Deciding if VocalEssence is the right place for your donation?